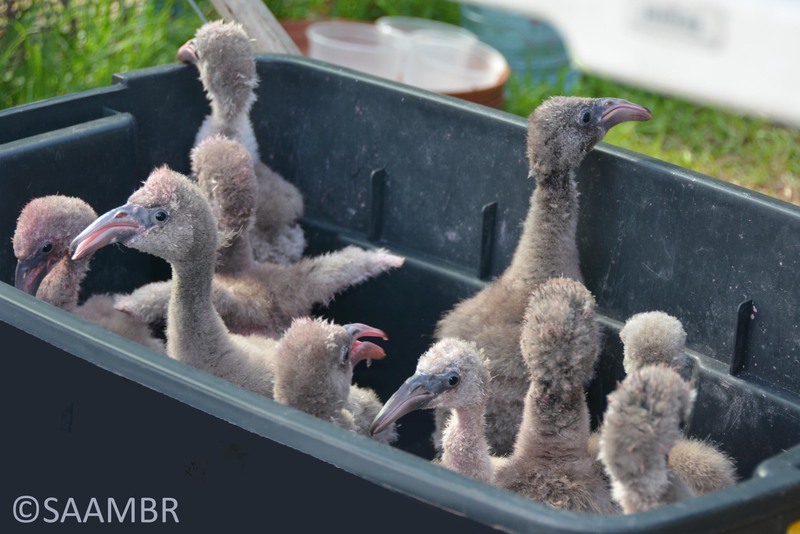 It’s week seven and preparations have begun for the flamingos imminent return to Kimberley. 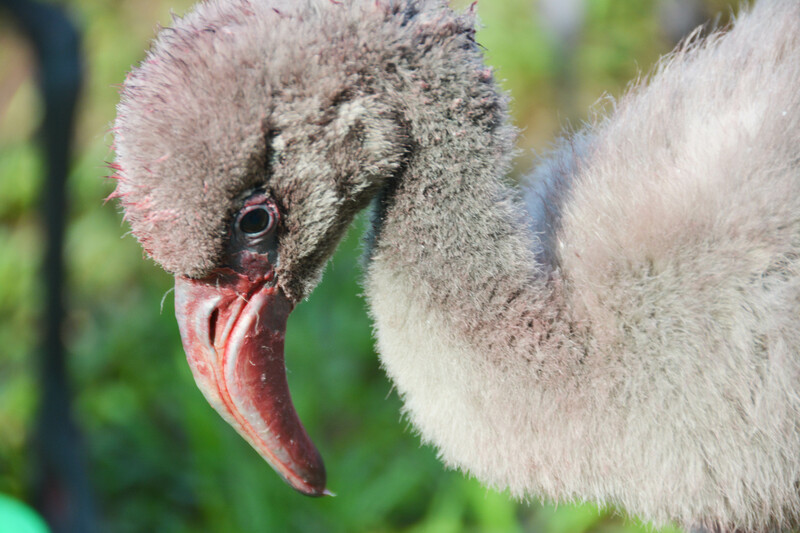 Currently there are 90 flamingos in the large group who weigh a minimum of 500 grams and 30 flamingos in the smaller group who are under the 500 gram mark. 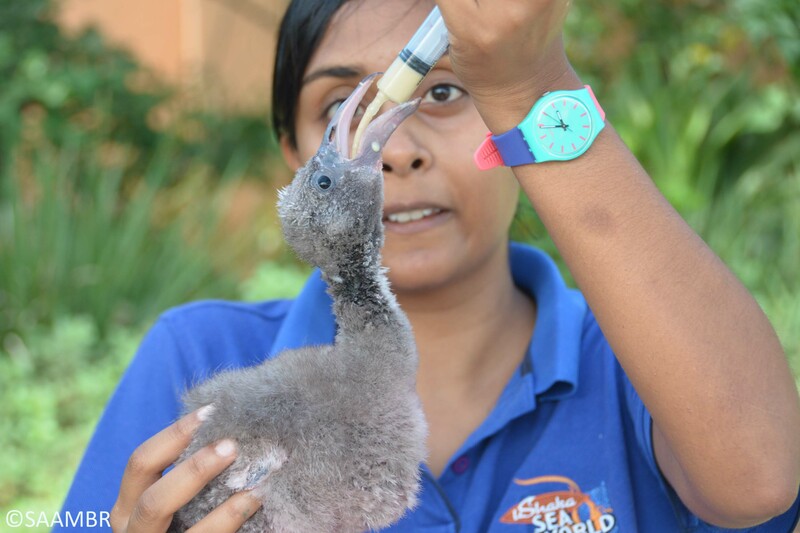 A couple of the largest birds weigh as much as 900 grams and stand 55 cms tall. The larger flamingos have started developing and strengthening their wings which is a good thing as they should be airborne in another seven weeks. 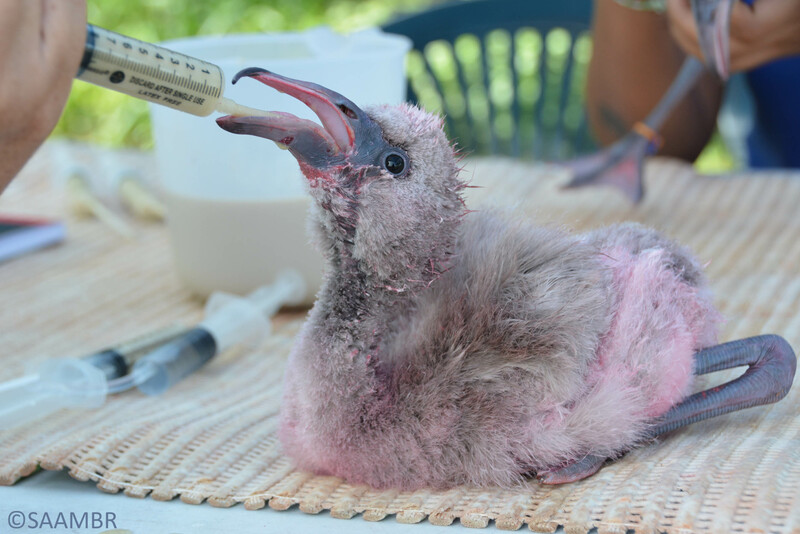 All the large flamingos are self-feeding whilst those in the smaller group are receiving supplementary hand feeds either once to twice a day. Volunteers place numerous feeding trays in the enclosure which offer more than enough space for everyone to dine quietly. However, it seems the flocking instinct wins over personal space issues and feeding is all about noise, jostling for position, standing your ground and regardless of whether you are in the small or large group, fighting with whoever, at that time, is standing next to you. 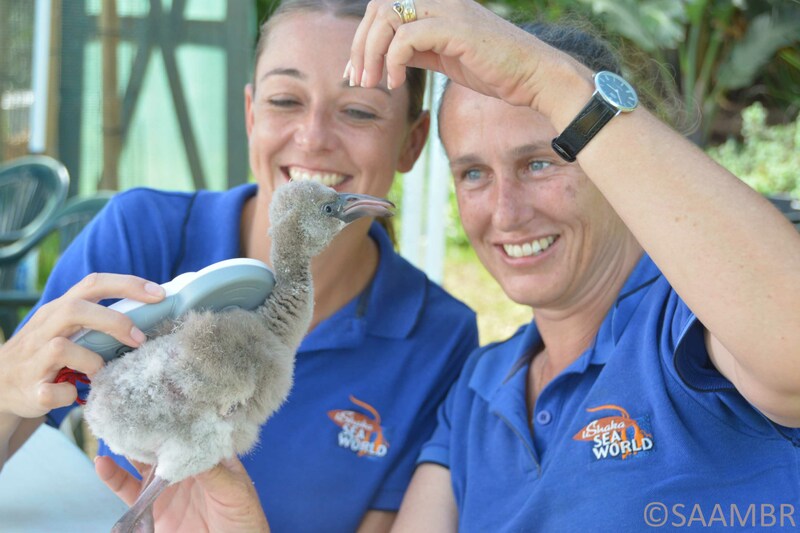 This week all the flamingos were micro-chipped, weighed and measured. Their unique microchip which remains under their skin at the base of their neck is linked to ZIMS (Zoological Information Management System) which is a world-wide animal database. We are unsure of exactly when they will leave uShaka Sea World for Kimberley as we are awaiting the arrival of their travel permits and transport crates. We do know that once they arrive in Kimberley they will spend time in a controlled environment until they are ready for release.